NewsBank is an excellent primary source for researchers from school-age children and teens to adults of all ages. 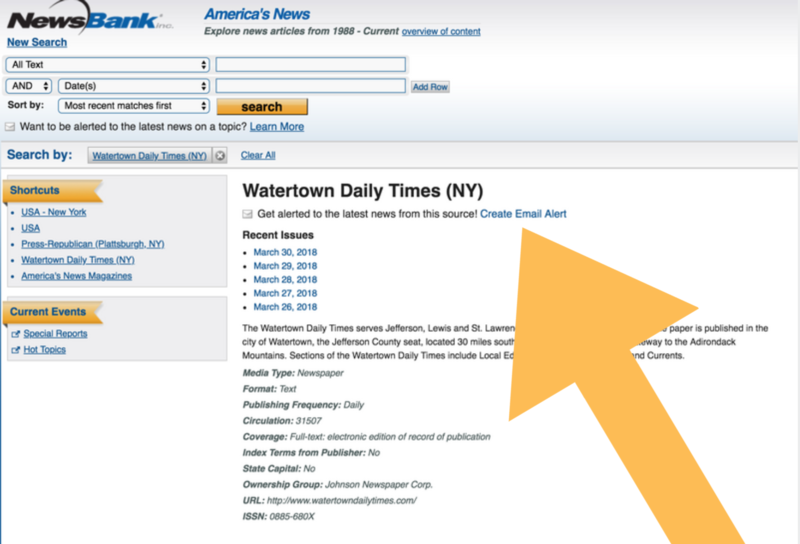 This database features newspapers from across the country as well as Network-acquired access to the Watertown Daily Times and Plattsburgh Press-Republican (1999 – current) for regional news. The database website offers features including the ability to register for an account, set up an email alert for specific titles, and many search terms that can be used to narrow results. 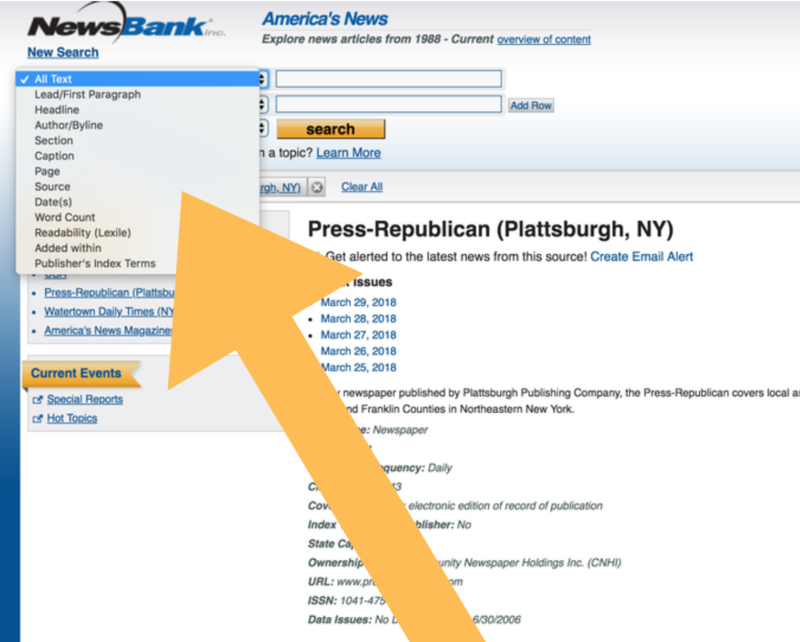 If you are interested in learning more about the NewsBank database or have any questions, please contact the Network. Create an email alert to stay up to date with new issues. Use the search terms to narrow your results to quickly find what you’re looking for.